There is just SO much to organise and to think about. It is actually doable, if you can keep organised. How annoying/rude/unsupportive/negative your friends & family are. How great/supportive/helpful other friends & family can be. How 'interested' everyone is about your business. 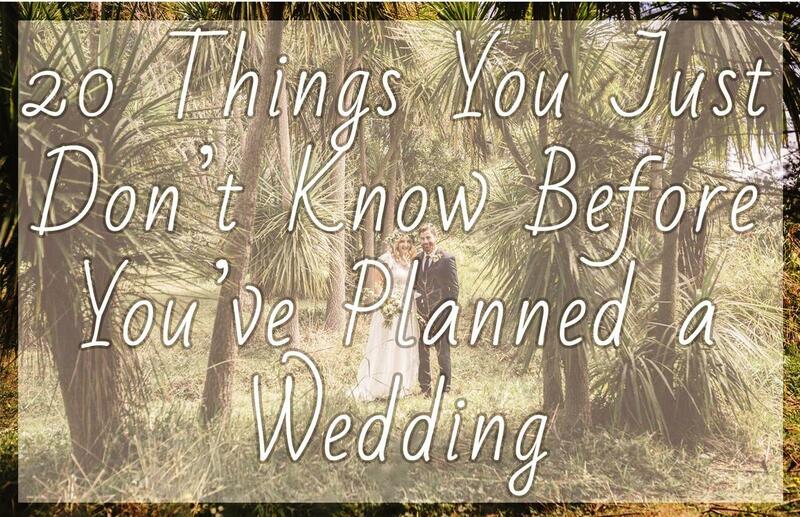 Pinterest weddings are really, really, ridiculously good looking. Pinterest weddings are really, really, ridiculously expensive. DIY is not especially cheap....or easy. How many friends & family are suddenly wedding professionals. How awkward it is to deal with invitations or conversations about who's invited. The thought of cancelling everything and eloping is a real possibility. The myth that people who don't RSVP on time is actually true. That other people have lives is unfathomable. That you haven't thought about any other area of your own life since you got engaged. People can and willingly download 5 different weather apps on their phone. That people cancel last minute with piss-poor excuses. That you will without a doubt go over budget. How much you don't care about anything come wedding day. How it really is one of the best days of your life. Hope that at the very least gave you a laugh!